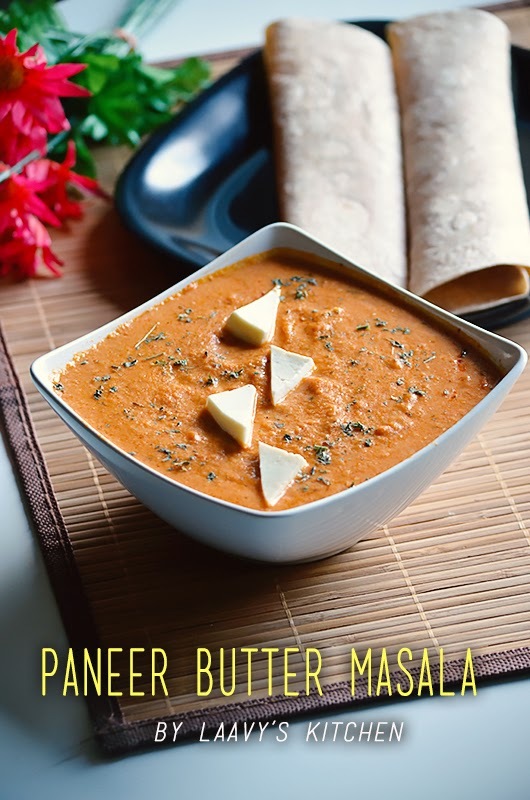 Paneer butter masala is a rich tomato onion gravy with chunks of scrumptious paneer or Indian cottage cheese. 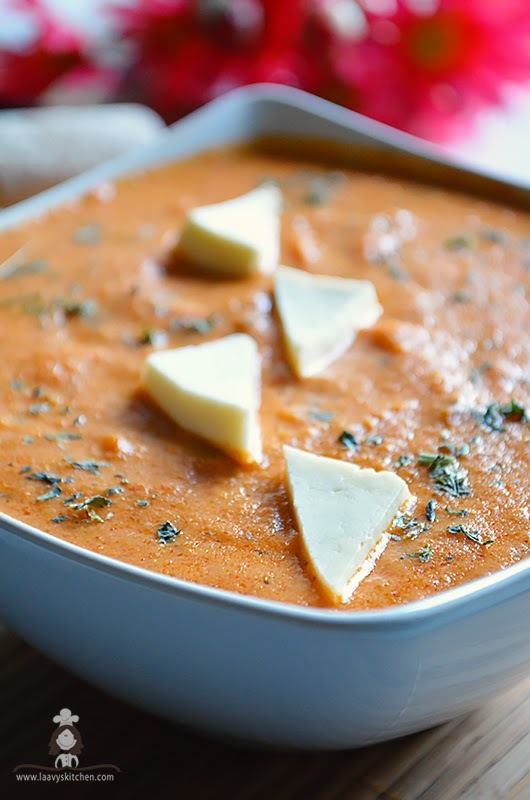 It is rich, creamy,with loads of cheesy goodness in every spoon. This recipe is special as it was requested by a lot of people.So this is for all you guys !! If you have a favorite dish , I would love to make a post about it. 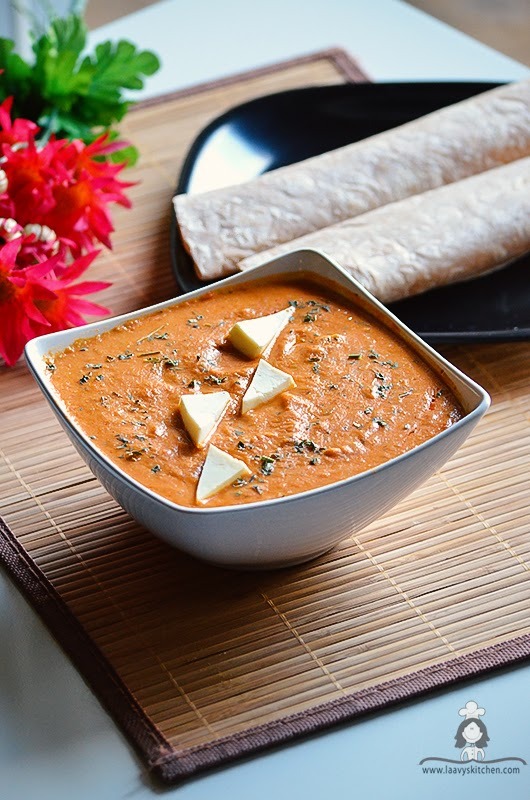 Whenever I have guests at home, I make this gravy.Trust me ,the feedback has been great ! !.This is quite easy to make but it takes practice to get the right consistency. This has been my go to dish for years and I can say with confidence that each time it gets better and better. 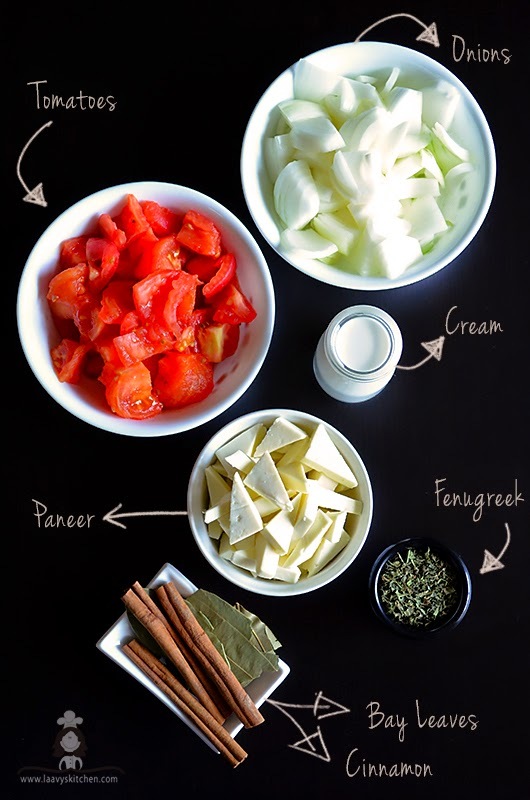 Chop the onions and tomatoes into cubes. In a large skillet, add 1tblsp oil,add onions and saute them without salt until cooked for about 3-5 mins.Transfer it to a bowl and let it cool.Add it to a blender and puree it. In the same skillet, add 1tblsp oil,add the tomatoes and saute them without salt until cooked for about 1-2 mins before they turn mushy.Transfer it to another bowl and let it cool.Add it to a blender and puree it separately. 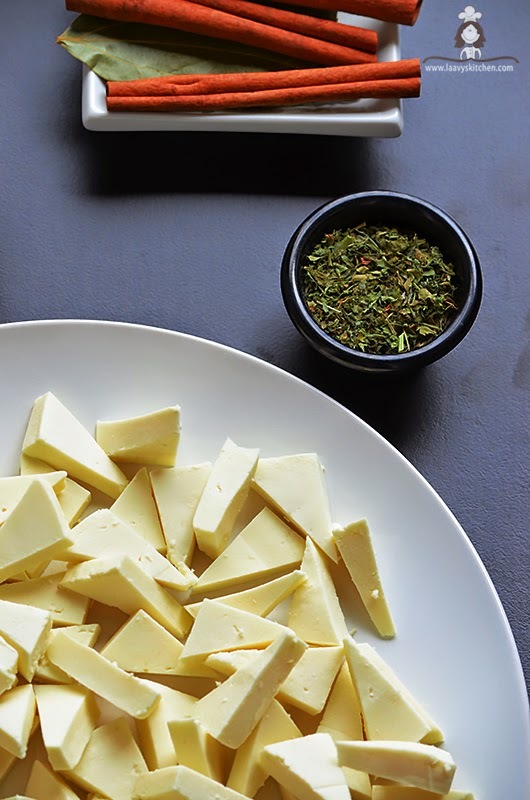 Make sure that the puree is smooth without chunks. Add butter and remaining oil to the skillet in a medium flame.Add bay leaves,cinnamon and let the spices flavor the oil for about a min.Add the ginger garlic paste and saute for a min. Add the onion puree.Let it cook for 8-10 mins.Add the tomato puree,salt and let it cook further for 5-7 mins.Add red chilli powder,coriander powder and garam masala. Let the gravy cook until it becomes thick.Add a little bit of water if its too thick like a paste. 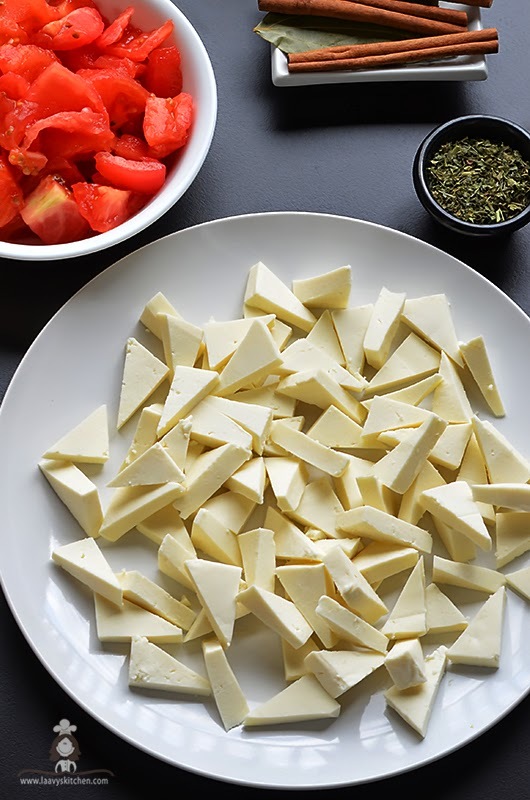 Heat water in a pan for 2 min.Chop paneer into triangles and add them into the water.Let it sit for just one min.Drain them and keep them aside. 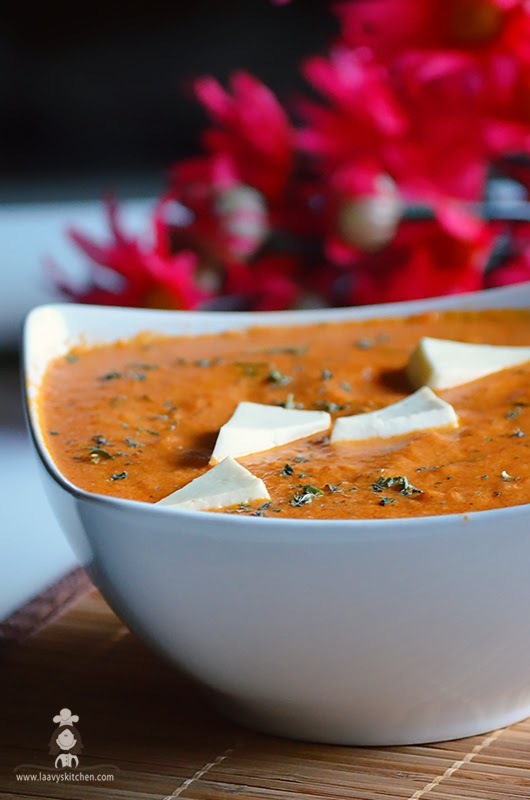 Crush the dried fenugreek leaves lightly with your fingers and add them to the gravy.Add the paneer and let it simmer in a low flame for 10-15 min. Add the cream or half and half and let it cook for 5 more min. looks like restaurant style...love the way you cut the paneer..so neatly..
wow..loooks awesome..perfect with flat breads..
Cupcakes with rose flavored buttercream frosting - Piping a rose on a cupcake.